Marguerite Aleane (Dirr) Smith, 99, stepped into Glory Tuesday, March 26, 2019, at the Peabody Retirement Community in North Manchester, IN where she had been living since 2014. She previously had lived her whole life in Garrett, IN. She was born on November 26, 1919 to James J. and Clara B. Dirr of Garrett. She graduated from Garrett High school in 1938 and in summer 2018 attended the all school reunion as a 80th Year alumna. After high school, she graduated from Tri-State College (now Trine) secretarial school in Angola, IN. In 1940 she married Buford C. Smith and remained his wife until his death in 2000. She was born on Guilford Street and after marriage lived a few blocks down the same street until she was 95. Her life was devoted to raising three children and volunteering in the community. She was a Trustee and Elder of Garrett Presbyterian Church, where she also helped in the children’s and youth ministries, was a leader in the Women’s Association, and served as Sunday school secretary for many years. 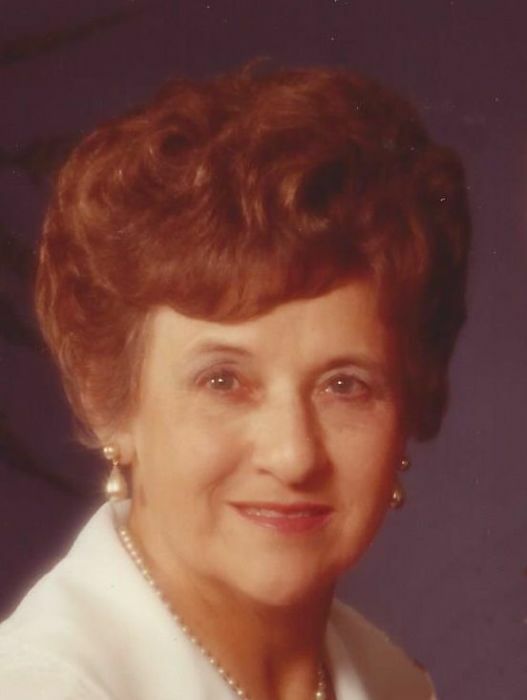 She served as vice president and president of the Garrett all-school PTA in the early 1960’s. In 1960, she served on the State-mandated School Reorganization Committee which established school districts. In 1964 she was the first woman elected to the Garrett-Keyser-Butler Board of Education, serving 6 years, and as President 1968-70. In 1970 she unsuccessfully ran for Indiana state representative. Marguerite was Chairman of the very successful 1975 Garrett Centennial celebration. She served tirelessly in that role five years from the first exploratory meetings, to disbursing of the proceeds to community organizations, and closing the corporation. For her service she was chosen Garrett Citizen of the year for 1975. She devoted her later years to many different community efforts. She was preceded in death by her parents and brother, James Dirr, and 4 sisters, Grace Brandenburg, Amelia Heitzman, Pauline Moses and Barbara Johnston. She is survived by her son Aaron D Smith of Garrett, and daughters Stephanie King of Columbus, IN and Melanie (husband David) Steiner of Indianapolis. Also surviving are 6 grandchildren: Kristina (Cary) Guse, Karianne (Terry) McKinney, Kelli (Scott) Bartkus, Kevin (Andrea) King, Rachel (Mark) Burch, and Adam (Kendal) Steiner and 9 great grandchildren, Jacob and Jenna Guse, London and Cashdon McKinney, Lexus and Lilly Bartkus, Kolton and Kaedon King, and Theodor Steiner.